Did The Supremes end when Diana Ross left? Are their post-Diana recordings any good? Does anyone care? These are important questions, ones we hope to address in this ‘Rare Cut’ as re-discover a lost Supremes gem. To understand the later era Supremes, it’s important to understand a little of the group’s history. In early 1967, at the height of the Supremes’s fame, Berry Gordy Jr, the founder of Motown Records, decided it was time to push his star performer (and number one girlfriend) further to the front, and renamed the group Diana Ross & The Supremes. This wasn’t the first time a Motown group had changed their name: The Miracles had become Smokey Robinson & The Miracles a couple of years earlier to capitalise on Smokey Robinson’s wholesome image as a talented songwriter, producer and performer. Yet, with no disrespect to The Miracles, they simply weren’t The Supremes. The Supremes: Florence Ballard, Mary Wilson and Diana Ross. News of the name change generated rumours that Ross was preparing to leave the group and embark on a solo career. The rumours weren’t completely untrue: Gordy had planned to make Ross a solo star around this time, and replace Ross with singer Barbara Randolph, but Gordy changed his mind. Yet the name change did have the desired effect: the name change pushed Ross further into the spotlight, and pushed Mary Wilson and Florence Ballard deeper into the shadow of Diana Ross’s star. Wilson and Ballad felt felt, perhaps correctly, that they were now simply no more than Ross’s background singers. Tensions in the group had been high for a while, and the name change did nothing to help group relations. Eventually, later in 1967 Ballard would be unceremoniously sacked from The Supremes, and replaced by Cindy Birdsong, in one of the saddest episodes in Motown history. The new version of Diana Ross & The Supremes carried on for another two years, with Gordy directing their every move. Wilson and Birdsong were relegated behind Ross on stage and in the studio, later Supremes songs didn’t even feature Wilson’s and Birdsong’s vocals. 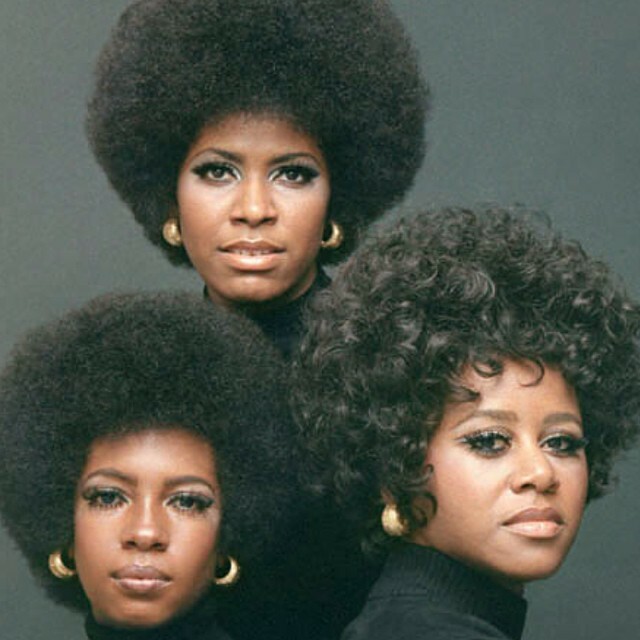 Diana Ross & The Supremes: Mary Wilson, Diana Ross and Cindy Birdsong (L-R). Eventually, Gordy decided that in order to for Ross to reach the next level in show business, it was time for Diana Ross to go solo. Not one to miss a marketing opportunity, Gordy initiated a farewell tour for the group, culminating in performances at the Frontier Casino in Las Vegas. He released the song ‘Someday We’ll Be Together‘ as the group’s poignant farewell song, but in actual fact the song was originally meant to be Diana Ross’s debut solo release, and in any case it only featured Ross who was backed by Motown’s in house singers The Andantes, not Wilson or Birdsong. As Ross left the group, a terrific singer named Jean Terrell joined The Supremes. She was a singer of incredible versatility and, whisper it quietly, more soulful than the pretty pop sound of Diana Ross. 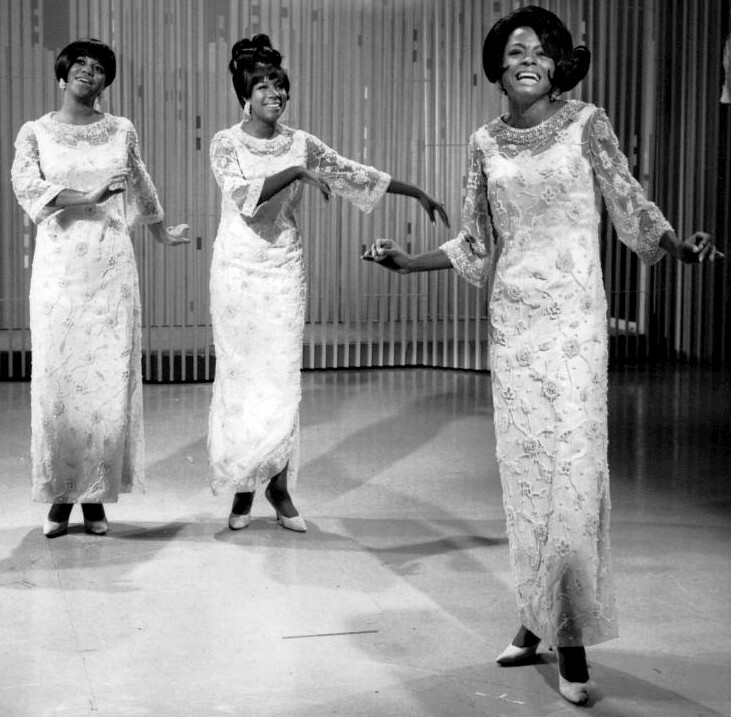 And, at first, The Supremes seemed to be doing well. They had hits both sides of the Atlantic with ‘Up The Ladder To The Roof’, ‘Nathan Jones’ and ‘Stoned Love’ – all with minimal promotion from Motown. In her excellent autobiography, Dreamgirl: My Life as a Supreme, Mary Wilson claimed that Gordy had changed his mind about Terrell, and wanted to replace her with Syreeta Wright, Stevie Wonder’s then wife. Wilson, now the leader of The Supremes, disagreed, and she claims Gordy washed his hands of The Supremes and refused to put any serious promotional or creative effort into their post-Diana Ross releases. The Supremes: The Jean Terrell years. Yet, despite the initial success of “new” The Supremes, their career predictably nosedived. They did manage to record three albums with the Four Tops, who were also in a career slump, but they albums failed to reignite the careers of both groups. As the star of Diana Ross grew brighter with the success of her solo albums and her debut as a film star, The Supremes were unable to make hit records. The line-up also changed again: in 1972 Cindy Birdsong quit, and was replaced by Lynda Lawrence. Then a year later in 1973 Lawrence and Terrell would quit. Once again, Mary Wilson found herself holding together the group, trying to navigate the internal politics of Motown to carry on recording and performing. In a recent BBC interview, Mary Wilson said that when Diana Ross left the group, “it wasn’t the Supremes for me either. I admire what we did and what we accomplished but it was a different group. And I keep trying to tell people that… that my heart and soul was with the original girls”. Yet, she did carry on the Supremes name. She re-grouped, unsure of breaking out on her own just yet, realising there was still value in the brand of The Supremes. The group may not have had a huge hit in a couple of years, but they The Supremes name could still draw a sizeable crowd to performances. She persuaded Birdsong to rejoin the group, and hired Scherrie Payne to round out the trio. Wilson also began to sing more leads herself, and had singing lessons to improve her ability to sing lead in the group. The Supremes’s self-titled album from 1975. This new line-up sought to capitalise somewhat on the new sound in popular music at the time: disco. It took the group a while to get back into the studio and record, but in 1975 they finally released the album The Supremes. 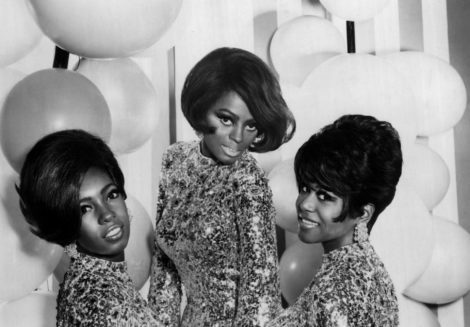 The album tried to combine the classic Motown sound, ballads and disco influences, in an attempt to make the Supremes palatable to the disco buying audience. But the album didn’t make much of a dent on the charts. Meanwhile, former Supreme Diana Ross was getting ready to release the film Mahogany, along with her recording ‘Theme from Mahogany (Do You Know Where You’re Going To)’ which would become one of her biggest hits. Yet, if there’s one thing we love to do at TFSR it’s find obscure songs from artists in the post-hits era of their careers. 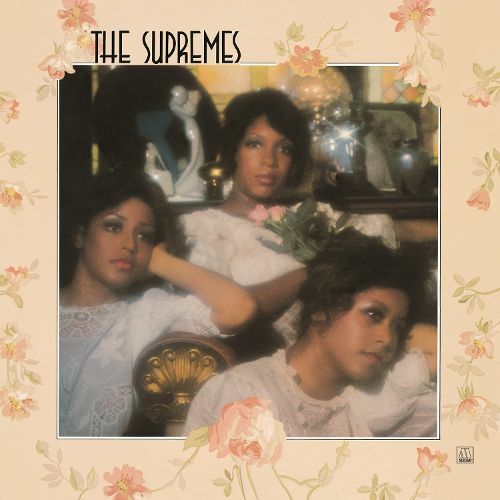 And we’ve found another one for you: The Supreme’s ‘He’s My Man’. It’s one of the best songs the Supremes released in their post-Diana Ross days: a polished attempt at disco that features some excellent singing, decent production and a rather catchy lyric. Written by Greg Wright and Karin Patterson, the song hit the Billboard disco charts at number one (although it did only peak at number 69 on the R&B charts). The song has Wilson and Payne as co-lead singers, with Wilson’s husky deep vocals juxtaposed to Payne’s higher range. The song was promoted on late night chat shows, including a performance on Johnny Carson. Yet, without much attention from Motown’s promotional team, the song didn’t fare as well as it should have. Which begs the question: why didn’t Motown do more? Perhaps, as Wilson suggests in her book, Motown didn’t want to divert attention away from Diana Ross to The Supremes. There’s probably some truth to this: Gordy was infatuated with Diana Ross, and sought to make her one of the biggest stars in the world. As a result, other Motown acts, not just the Supremes, felt left behind. Equally, Thelma Houston aside, Motown wasn’t too great at producing or promoting disco records. The company would eventually slap ‘Motown Disco’ over it’s 12” singles in the eighties, they were largely too late to the disco scene and when they attempted to capitalise on disco, it didn’t always go right – it took Diana Ross until 1981 to cement her position as a disco diva with her Diana album, produced by Nile Rodgers and Bernard Edwards of Chic. ‘He’s My Man’ is a what could have been moment. Had the group been able to capitalise on the disco trend, using this as their foundation from which to do so, they might have been able to re-brand themselves as disco divas, something Diana Ross was able to do later on. Sadly, it wasn’t too be. But the song is a pleasant discovery, and it does prove, to some extent, that The Supremes were able to produce some excellent material without Diana Ross, and without the crucial backing of Berry Gordy. Sadly for the Supremes, in particular Mary Wilson, after the release of The Supremes album, the group would only exist for a few more years. Wilson’s then husband Pedro Ferrer was handling the group’s business, and Birdsong grew frustrated with how he was handling the The Supremes, so left in 1976. She was replaced by Susaye Green, formerly of Stevie Wonder’s Wonderlove backing group, and who would write with Stevie ‘I Can’t Help It’ for Michael Jackson. The Mary, Scherrie and Susaye line up would record two more albums before Wilson decided to end The Supremes in 1977, after one last performance in London. A somewhat sad end to what was the world’s greatest girl group.